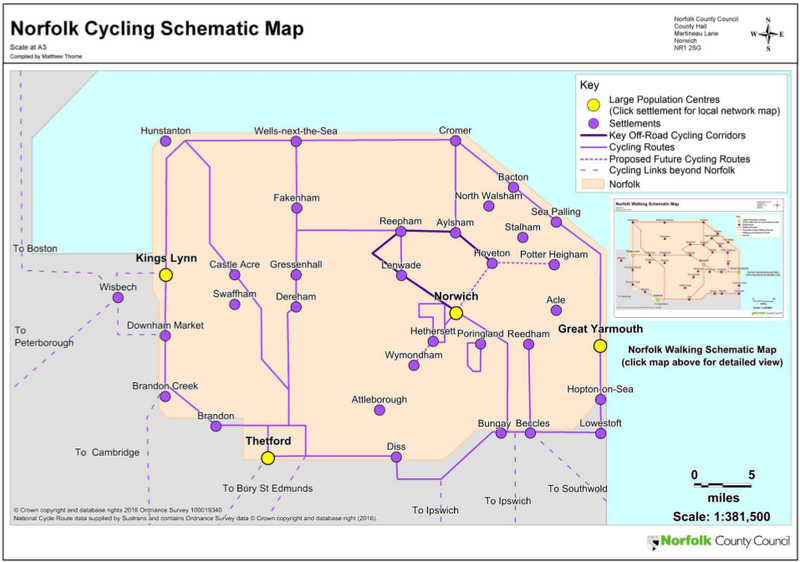 At long last, King's Lynn would get a decent cycle route to the east, offering a more direct official route to Norwich - although still indirect because NCC don't recognise/improve any obvious route between Dereham and Norwich or apparently expect to build anything to connect with the A47 Tuddenham-Easton dualling! 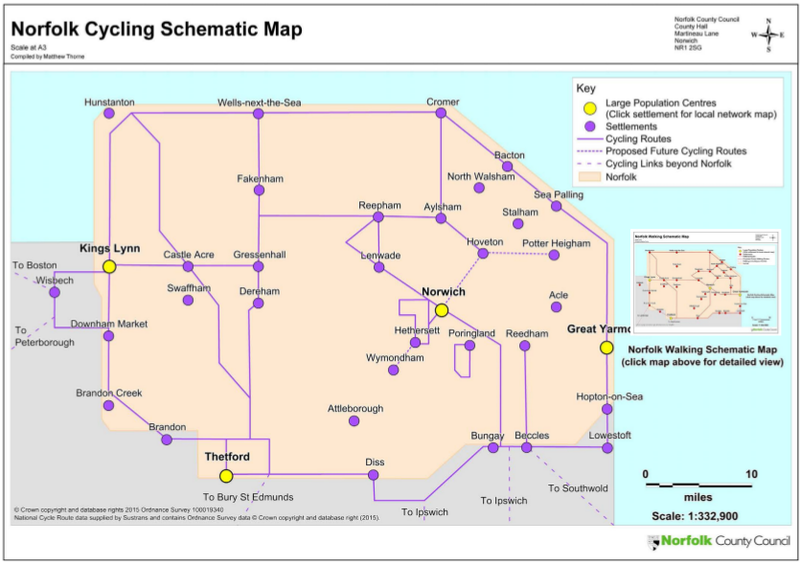 There are other obvious problems, such as Hunstanton and Swaffham among many towns left isolated (those two are bizarre when they seem relatively easy to connect to the network shown at Ringstead and West Acre and Oxburgh), but this plan was still a big step forwards towards actually having a cycling network rather than a few fragmented sections. 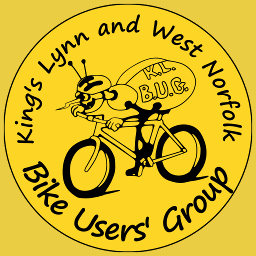 So KLWNBUG responded, including that "we would really really like" this Lynn-Castle Acre-Gressenhall route. 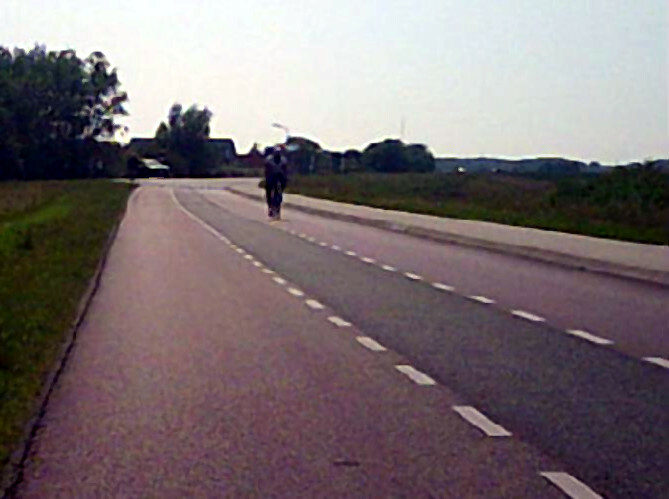 We hoped that NCC would either develop an avoiding route or do remedial works (such as 40mph speed limit, wide advisory cycle lanes, most centre lines removed - like in the picture taken on a ride elsewhere) to the B1145 Bawsey Bumps that currently forms the first part of most journeys from King's Lynn to Castle Acre. That route is also likely to become more important when Bawsey Pits Country Park goes ahead, plus there are several villages there in ideal cycling range of the town which are underachieving in cycle-to-work/school levels. Spot the difference? Lynn-Gressenhall has disappeared. Its line simply erased from the map with no ceremony. Once again, there's no official route east planned unless you're willing to go 35 miles south to Brandon or 20 miles north to the coast - while the north Norfolk coast is beautiful, it's not on the way to Norwich! With one person killed cycling on the Bawsey Bumps in the time between the consultation (May 2016) and final plan (March 2018), this U-turn felt like a rather sick kick in the teeth. I invite any county councillor to come join me on a ride over the bumps (it's usually safe but not very nice) and then see if they still stand by this decision not to improve that route. Next time, I'll describe the Lynn-Fakenham rail trail proposal and how it offers us potential solutions to the "East of Lynn" problem.